The internet is a wonderful thing – especially if you’re a bargain hunter. There are more ways than ever before to save money while shopping online. One of the most popular markets today is the discounted gift card market. The idea behind discounted gift cards is simple. 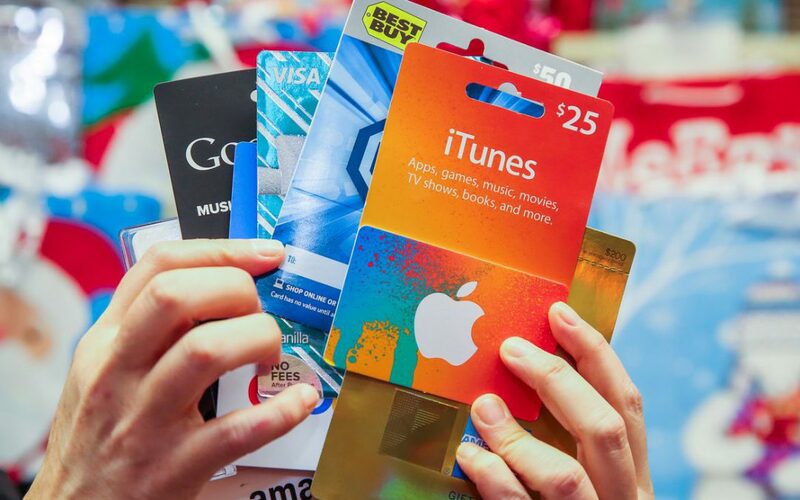 People go online to sell the gift cards they don’t want, and the resellers then sell these gift cards to other consumers – for less than face value. If you get lucky, you can often find gift cards that are up to 25% off! If you shop for discounted gift cards online, you can save a ton of money when shopping. However, this method of purchasing gift cards is not without its risks. Because you’re buying the gift card from a third party, they already have the gift card’s information – so unless you trust them, you could be getting ripped off. They could “sell” the gift card and then use it themselves. Gift cards purchased online also often need to be sent to you, so there’s a risk of them getting lost or stolen on the way. Finally, some gift cards that are sold online can be purchased with stolen credit card information. If you’re the recipient of one of those cards, you may be in for a nasty shock if it gets deactivated post-purchase. We don’t mean to scare you away from buying discounted gift cards online, of course. If you take appropriate precautions, you can easily avoid these scenarios, and stay safe while you purchase gift cards online. Done correctly, you can mitigate just about every risk of buying gift cards from a third-party reseller, and enjoy significant discounts that will save you some serious cash in the long run. So check out this article with 10 tips that will help you buy discounted gift cards online safely. After you’re finished, you’ll be armed with all the knowledge you need to stay safe while purchasing gift cards from third-party resellers online. The first step to successfully buying gift cards from third-party resellers is to choose the right company. Even a few years ago, it was hard to find a large, reputable gift card reseller to purchase gift cards from – many people still purchased discount gift cards from individuals on websites like eBay. Now, though, gift card reselling is a big industry, with quite a few large, dominant websites at the top of the heap. 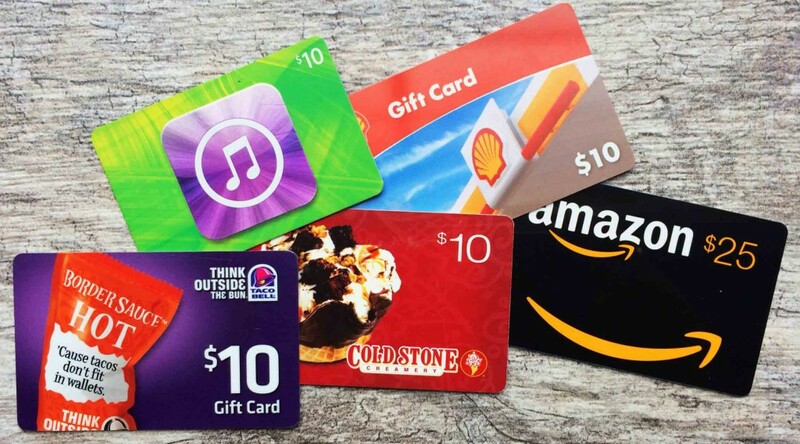 Check out this article on Investopedia to see some of the best gift card sellers on the market. Don’t just trust the size of the seller, though. Check out their online reviews, FAQs, and customer testimonials to see if customers generally have a good experience when purchasing discount gift cards. Doing so is the best way to ensure that you’re working with a professional, legitimate seller. Most top gift card sellers have a comprehensive order status system, just like every other e-commerce store. They should send you a notification when your purchase goes through, order status information, tracking numbers, and regular updates to the status of your order. Pay attention to when your order ships, and make sure that it gets to you by its anticipated arrival date. If the card is lost or missing, you’ll have an easier time discussing your options with the seller if you’ve kept a close eye on your order status, and are certain that your card hasn’t arrived. As soon as you receive your gift card – whether physically or electronically – you should head over to the retailer’s website, and make sure that its balance is verified, and that the card has the correct balance, as advertised. If the card’s balance is incorrect, you need to bring it up with the seller as soon as possible. It could have been a simple mistake, and they’re more than happy to work with you to solve the issue. And if your card information has been stolen, it’s in your best interest to notify the company ASAP, so that they can take appropriate action. Archive or save the emails that you receive as a proof of purchase for each discounted gift card you buy, and save any conversations you might have with customer service representatives or other company officials. Keeping detailed records of each gift card purchase ensures that you’ll always have all of the information you need to resolve an issue with a gift card company. It will make things easier on you, and on the customer service representative who is helping you. In addition, detailed purchase records make it easier to successfully initiate a chargeback – which we’ll talk about in detail a little bit later in our article. This is one of the most important tips we can give you. Buying gift cards from a third party is usually very safe, but you still shouldn’t buy any gift cards that you don’t want to spend immediately. Don’t just buy a gift card because it’s being offered at a great rate – buy it because there’s something specific you want to purchase from a particular store. For example: you shouldn’t purchase a $200 Target gift card just because it’s on sale for 20% off. That’s certainly a good deal, but if you don’t have anything to spend it on, you could end up losing the balance of the card if the seller turns out to be scammy, or you might be unable to return the card if the return guarantee expires. Whenever you shop for a discounted gift card, you should have a purchase in mind. Spending your cards immediately ensures that you won’t have to worry about thieves stealing the information on your card, or not being able to return your card if something’s wrong. As mentioned in tip #5, you should spend physical gift cards as soon as you can – and this goes double for electronic gift cards. Electronic gift cards are extremely easy to spend. This goes for both the buyer and the seller – there’s often no way to guarantee that a seller won’t keep the information on an electronic gift card. Also, most gift card websites don’t offer the same return policies or service guarantees on electronic gift cards. You’ll have a much more convenient purchasing experience – but you’re going to be taking on a bit more risk. The best way to mitigate this risk is to sell your electronic gift cards as soon as you receive them, so be ready to shop as soon as that purchase confirmation hits your inbox! Again, this is a smart way to mitigate risk. You never really want to buy a gift card worth more than $100 or $200 online, simply because it’s not worth the risk. First, you may not be able to spend the entire balance at once, so you may end up sitting on valuable cash – and if you didn’t purchase your card from a legitimate seller, they could easily use that balance up after the purchase. Second, most high-value cards are more likely to have been purchased fraudulently. Gift cards are, unfortunately, a popular way to launder money for criminals, so if your high-value card is stolen or compromised, you may just be out of luck when it’s deactivated. Because of this, it’s usually better to purchase multiple smaller gift cards when you’re trying to make a large purchase. Now, you don’t want to walk into a Best Buy while you’re holding two dozen $20 gift cards to buy a new TV – but if you buy a few $50 gift cards, you’ll be able to mitigate the risk of one of your cards being stolen or compromised, and still be able to easily purchase a larger item. Think of gift card value as a “Goldilocks” problem. A single high-value card is dangerous because it could be stolen or compromised – but buying a ton of $10-20 gift cards is inconvenient and awkward. Find a happy medium, and you’ll be able to maximize your savings and mitigate your risk. 8. Use Common Sense – If It Sounds Too Good To Be True, It Is! If you come across a crazy deal that sounds too good to be true, you’re likely being scammed. If you come across a $100 Target gift card that’s being sold for $70, for example, you should stay away. That’s a 30% discount, and as a rule, even the most generous gift card sellers rarely sell highly-desired gift cards to stores like Target and Walmart for more than 3-5% off. Gift card sellers usually have fairly similar rates. Highly-desirable gift cards to department stores and megamarts like Target will be sold pretty close to face value, while more specific gift cards like restaurant gift card and specialty store gift cards can be found for up to 10-20% off. So you should browse through these websites, and get a good idea of the sorts of discounts you’re likely to come across when buying a gift card. Doing so can help you recognize scams and deals that are “too good to be true”. Many of the best online gift card sellers do offer a return policy on unspent gift cards, but not all return policies are built alike. Some gift you a week to return your card – some will give you up to a month. It all depends on the company. Also, these return policies almost universally only apply to physical gift cards. If you buy an electronic gift card, you will probably not be able to return it at all, so make sure that you’re willing to take that risk. If you read the fine print, return policies, and other information from your gift card seller, you’ll be able to make a more informed purchasing decision. When you’re buying gift cards online, your credit card is your friend. Avoid using PayPal – and especially avoid using any kind of wire transfer or other such transaction when buying a gift card. Your seller should be willing to accept all major credit cards. This is very helpful for you – if you get scammed and the seller doesn’t respond to your customer service claim, you can initiate a chargeback on your credit card. By doing so, you can put a “hold” on the funds you spent until your service claim is resolved. Credit card companies will usually side with consumers unless comprehensive proof can be provided by the vendor that they were not at fault. Need To Sell Your Unwanted Gift Cards? Come To EJ Gift Cards Today! Where do all of the gift cards being sold online come from? They come from people like you! Every day, thousands of individuals sell their unwanted gift cards online – this is where the majority of discounted gift cards come from! So if you’re interested in selling an old gift card that you don’t need, there’s a market for that! EJ Gift Cards is one of the leading direct gift card buyers on the market. We specialize in purchasing unwanted gift cards from folks just like you, and we pay out cash through PayPal. Our selling process is incredibly simple, and we accept hundreds of different gift cards. So if you need some quick cash and have some unwanted gift cards to sell, don’t wait! Get an offer for your unwanted gift cards from EJ Gift Cards now.